Vincent (V.C.) Columbus Aubert, Jr., 92, of Hobart, Oklahoma died November 30, 2018 at the Norman Veterans Center in Oklahoma. He was born in Spencer, OK, on January 14, 1926, son of the late Vincent, Sr. and Ruth Aubert. Married for 50 years to his loving wife, Elizabeth Jean Carter. V.C. married Betty Louise Newborn in 1945 from which there are three daughters surviving: Vicki and husband Victor Long of Oklahoma City, daughter Debbie Adam of Oklahoma City, and Pam King of Midwest City; and two sons (mother Jean): Jim Frye of Hobart, and Larry and wife Darline Frye of Hinton. He has 12 grandchildren; Angie and husband Scot Sullivan, children Noelle and Noah; Jeffrey and wife Nicole Adam, children Makenna and Kiersten; Jennifer and husband Mark Fitzgerald, children Kayla and Ethen; Jeremy Adam, son Jackson; Laura and husband Phillip Lewis, children Isabelle and Elizabeth; Jessica and husband Matt Rooney, children Tristan, Adelynne, Ella, and Weston; Kevin and wife Stacie King, children Keaton and Kason; Denise and husband Aaron York, children Hailey, Kristen, Lauryn and Brenton; Terri and husband Jr Thornton, children Brynlei and Brandon, Ashlyn, and Landon Alexander; Tiffany and husband Kevin Buchanan, children Koby and Koda; Matt and wife Kaye Frye, children Weston, Jocelyn, and Piper; Jimmy and wife Ashley, children Dodge, Elizabeth, Skiler, Ricky, Rafe, and Cyler. He is also survived by his sisters Esther Laverne Ruzycki of Jones, Etta Jean Johnson of Spencer, Nora Mae Allen of Spencer, and brother Ora Ray Aubert of Spencer, as well as numerous nieces and nephews. He was preceded in death by his parents; his wife Jean; infant son; sister’s Loise (husband Vernon) Willcox, Leota (husband Vergil) Peters, Opal Faye (husband Edward) Peitchinsky, and Lillie Ruth (husband Morgan) Eavanson; brother-in-law’s Tony Ruzycki, Ollie Johnson, Frank Allen; sister-in-law Jan Aubert and daughter-in-law LaDonna Fyre. Vincent grew up on his family’s farm in Spencer, Oklahoma. He graduated from Central High school in 1944. V.C. was a World War II veteran joining the Navy after graduating from high school. His service in San Diego, CA included Machinist’s Mate, Fireman and guiding ships into the bay area. Honorably discharged he returned to work at Tinker AFB. 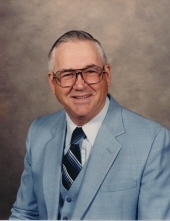 He was entrepreneurial in spirit an endeavored at numerous businesses throughout his life including a café, firecracker stand, rental properties, small business owner, cattle and crops. His life journey took him to Hobart, OK to become a business owner of an Otasco store. His passion for everything farming lead him to acquire 100 acres which he farmed for 30 plus years enjoying time with family and friends. His life was devoted to Christ. His service included music ministry and other numerous leadership roles at Washington Street Baptist Church. As a skilled carpenter and missionary of Baptist General Convention Campers on Mission, he assisted building churches across the US. V.C. loved the church throughout his life and worked at every level including leading Sunday school classes, ministry and handyman. V.C. was a hard worker, but also loved the simple things in life. His childhood experiences of growing up on a farm never left him. He loved the land and farming. Showing his kids and grandkids how to farm was a sense of joy for him. V.C. loved nothing more than surrounding himself with children and allowing them to be mischievous. He had a great sense of humor. He loved to fish, attempted to surf, but was a master of skiing from shore to shore. He loved nature and hikes with his family. He could often be found in his barn amongst the remnants of his many projects. He was a builder, building his own house and other structures throughout the years. His father was a skilled carpenter/builder and he taught V.C. the skill to do things right. Christmas was a time of great joy for V.C. He loved the true meaning of Christmas (Christ’s birth) and loved the joy of giving to his large family especially the children. The celebration of Vincent’s life will be held on Tuesday, December 4th at 2 pm at Barnes Friederich Funeral Home in Midwest City with graveside service to follow at Kolb Cemetery. In lieu of flowers, family and friends may in turn make a donation to the Alzheimer’s Association, Oklahoma Chapter. To send flowers or a remembrance gift to the family of Vincent Columbus Aubert, please visit our Tribute Store. "Email Address" would like to share the life celebration of Vincent Columbus Aubert. Click on the "link" to go to share a favorite memory or leave a condolence message for the family.